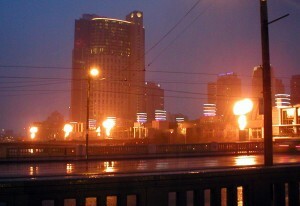 Apparently, at 6pm local time every evening, the pillars lining the river by the Crown entertainment complex emit flame. This happened while we were on the bridge crossing the river. What on Earth?! What a bizarre ritual! Did you find out why? Because it’s cool? And attention-getting?